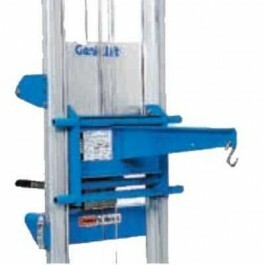 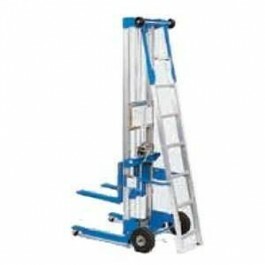 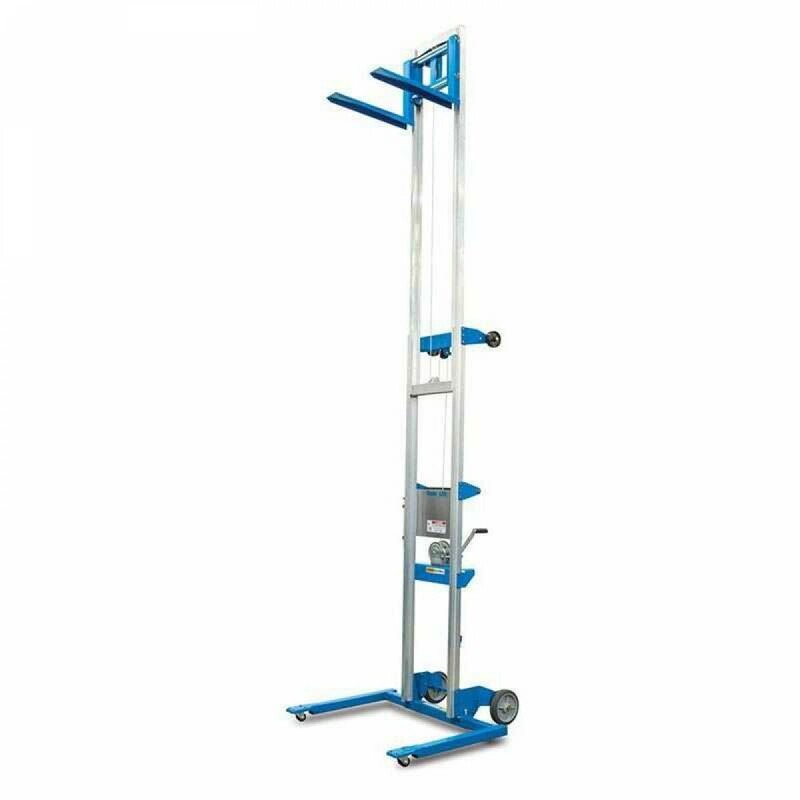 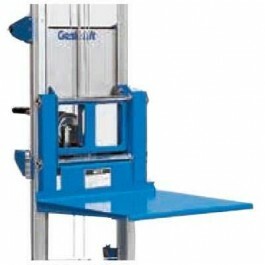 A straddle base material lift capable of handling loads of up to 350 lbs. and features a maximum lifting height of 13ft 9-1/2 in. 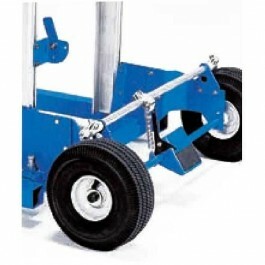 The Genie GL-12 Straddle Base Material Lift is equipped with 8" non-marking rear wheels and 2" dual wheel front swivel casters.